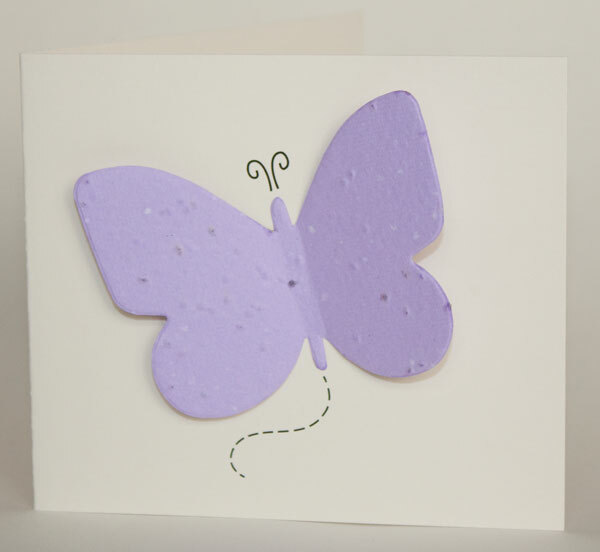 Today, a customer purchased our plantable butterfly forget-me-not memorial cards for her mother’s celebration of life. I was touched by the words she chose for the cards. This really gives a sense of who her mother was and how she has inspired others by her generous and loving ways. I also liked that she expressed her mother’s love for animals. When the butterflies are planted forget-me-not flowers will grow in memory of her mother. Wonderfully done! 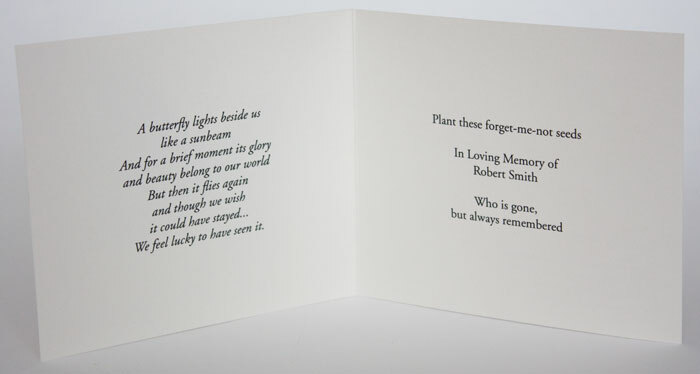 Consider plantable cards and bookmarks for a gift for a funeral instead of flowers. For more creative ideas for turning a funeral into a celebration of life click here. This entry was posted in Funeral Flowers, Funeral Gifts, Life Celebration Ideas and tagged butterfly forget-me-not cards, eco friendly funeral gift, funeral cards, funeral favor, funeral flowers, funeral gift, funeral gift for moms service, funeral ideas, funeral poem for mom, funeral poems, funeral verses, instead of flowers, life celebration ideas, memorial cards, memorial favors, memorial gifts, memorial poems, memorial seed cards, Plantable Wildflower Seed Heart Card, unique funeral gifts, unique funeral ideas for flowers. Bookmark the permalink.